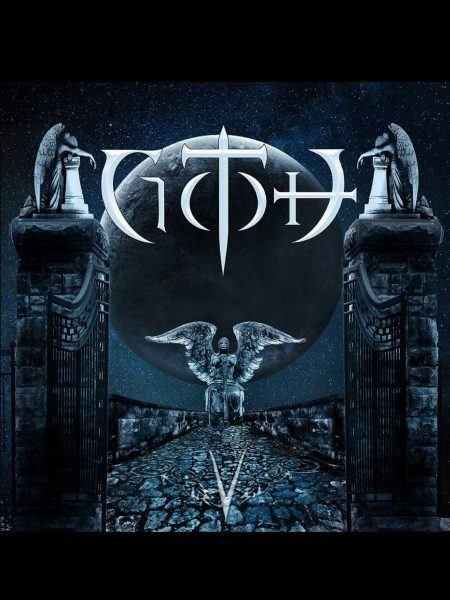 Formed in 2005 by co-vocalist/multi-instrumentalist Ivan Prim, G.O.T.H (Glam On Thy Hell) is a rock-solid hard & heavy gothic metal band whose vast array of influences seem to range from Siouxsie and the Banshees to Slayer*! Originally released back in 2015 in digital format only, "Glam On They Hell" is the first full-length studio recording from this up-and-coming American/Portuguese band and it is a highly-atmospheric walk on the dark side of the moon! Well, it's either that or it is a calm, cool & collected sneak peak at the other side of the life's door. You do know the spooktacular place that I am talking about right? If not then it is where you can expect to find death just sitting there nice and comfortable as he waits to greet you after all of the lights have been turned out!! Given the mysterious narrative that is this album's lyrical content** (mystic metal anyone?) I suppose it could go either way. From that point of view it isn't a easy task pinpointing the exact origin of "Glam On Thy Hell". Mind you it's not as if it actually matters. For you see whichever way you choose to slice it and dice it the end result will always be the same. From it's lyrics to it's actual music "Glam On Thy Hell" is a winner! You don't often get hear that when it comes to a band's first album, but somehow all of the stars were able to line up just right and G.O.T.H. pull it off. Produced by Ivan Prim and João Pereira at Requiem Studios in Wolverhampton UK, G.O.T.H. 's debut outing is truly something special, but then again so are the two people that were involved with it's creation. Yes, you heard that right. Despite it's grand scheme there were only two people at work on "Glam On Thy Hell"!. In addition to G.O.T.H. 's main-man and founder Ivan Prim (lead vocals and backing vocals, drums, guitars, bass, and orchestration!) you have Kate Prim (lead vocals and backing vocals). 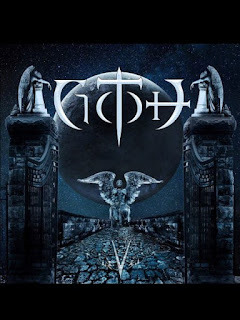 Working together with co-producer João Pereira the pair of Ivan and Kate created a bang-up goth metal release that musically covers a lot of ground and should help set this band apart from it's peers. Somewhat fittingly "Glam On Thy Hell" includes 13 tracks (one of which is nothing more than an intro but still....) and these different tracks all line up in such way that you can't help but be reminded of a time when albums were just that-actual, honest to goodness albums and not just a collection of random numbers just tossed together. There's a nice even-flow about G.O.T.H. 's debut album and the vintage vibe of this disc's production merely adds to the overall appeal of "Glam On Thy Hell". With this only being their first album there's no doubt that this will be a good band to keep an eye on. And now that they are teamed up with the great folks over at Musicarchy Media the members of G.O.T.H. will finally get a chance to put out their debut album on a physical format***! That's a win-win in my book!! *Even if it has more in common with heavy glam metal than it does thrash this album's somewhat eerie title track, "Glam On Thy Hell", features the same kind of familiar guitar riffs that Slayer in known for. And to answer your second question, yes, the song "Glam On Thy Hell" is all the more awesome because of these killer riffs! **Despite the fact that you can take the album's well-written lyrics and interpret them in a variety of ways the end result is always the same. There is a strong sense of unity between the lyrics and the actual music on G.O.T.H. 's first album and it makes for a damn fine listen! ***While it is technically just for the European market, "Glam On they Hell" will at least see a CD release. And that is all that really matters when it comes to fans of this underrated gothic rock/metal band.